Life insurance guards against financial catastrophe in the event of your death. If your family’s finances depend on you, chances are you need life insurance. The insurance company will require you to designate beneficiaries to receive the proceeds of the policy at your death. It’s important to change your beneficiaries as life events dictate. It’s equally critical to tell former beneficiaries they’re no longer on the policy. In Florida, life insurance is a state-regulated contract. An insurer agrees to pay a specified amount of money to named beneficiaries upon the death of the insured. Courts approach an insurance policy like any other contract. Specifically, plain language prevails. As one Florida court put it, “just what the language suggests and nothing more.” Life insurance is governed by general contract law and the Florida Insurance Code. A life insurance policyholder can change beneficiaries at any time, unless restricted by the policy. Simply supply the insurance company with the new beneficiary's information. Many insurers allow you to make these changes online. Make copies of the changes for your records and tell the original beneficiaries they’ve been dropped. This can help avoid misunderstandings and hard feelings after your death. 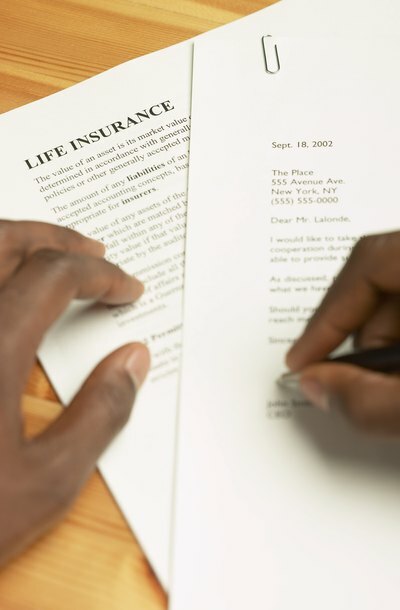 A recent Florida law targets former spouses who are life insurance beneficiaries. It declares a policy invalid at divorce if the former spouse is a beneficiary. Until recently, Florida law prevented an ex-spouse from inheriting under a will; however, that same spouse could get millions in life insurance proceeds if the deceased ex-spouse never changed his beneficiary. Under the new law, alternate beneficiaries would get such assets. If none are named, the proceeds go to heirs as though the former spouse died before the policyholder. Unless there’s fault with the contract, disputing the beneficiaries of a life insurance policy is often futile. Life changes are most common cause of disputes. Many times, upon marriage, divorce, birth or adoption, a person will forget to change his beneficiaries. Fraud is another ground to dispute the beneficiary. Excluded family members often claim the policyholder wasn't competent to make the contract, or they might argue a new beneficiary might have had undue influence over the policyholder. This is especially true when the change in beneficiaries occurs near the end of the insured’s life. Finally, the policy must be one document. The body of the contract can’t be listed in one document with the beneficiaries named in a second. Legal and insurance experts say chances of successfully disputing beneficiaries in court are slim. An insurance policy is considered an ironclad contract unless fraud or mental incapacity can be proved. Fraud can be difficult because it’s often one person’s word against another’s. When a life insurance policy is disputed, it becomes a legal issue. Therefore, a court will decide, not the insurance company. Insure: Can You Dispute a Life Insurance Beneficiary? Divorce may not end the spouses’ dependence on each other; one former spouse may rely on the other for ongoing child support and alimony payments. If the paying spouse dies, the receiving spouse may find it difficult to make ends meet, so a divorce decree can require one ex-spouse to carry a life insurance policy and assign the proceeds of that policy to the other ex-spouse.